I'm an Oz, US dual citizen by descent and looking to sort of start over somewhere new. I've never lived in Australia, but I think it'd be nice to take advantage of that citizenship now! But at the same time, I've always romanticized the perfect weather of California, and of course it's in America (I currently live in New England) so it won't be as much of a culture shock. Though I'm pretty good at adapting. I'm sort of looking for a "teenagers dream" type place, fun with loads of beaches nearby and not hard to get around and a generally fun place. So I was wondering which place had a more laid back beach culture overall? Obviously Oz is a country with a ton of stuff, but I think it's possible to compare them. California is VERY hospitable in terms of climate. I don't know yet...I guess I'm attracted to the starting over in a new country idea and the famously laid back people. But is that a false stereotype? 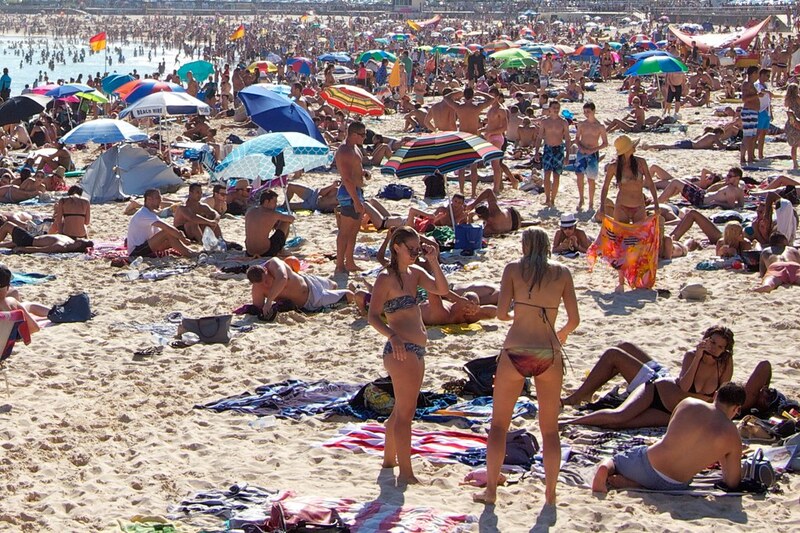 The beach and summer are very important to Australian cities. 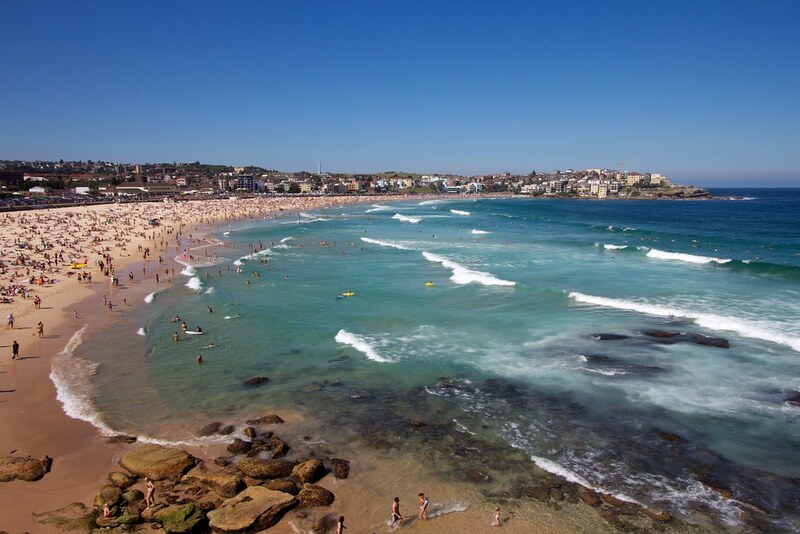 Most Australian cities are coastal, and have climates quite comparable to California. Although Sydney and Brisbane are some what more humid than southern Californian weather, but the temperatures in both winter and summer are similar. It kind of is a false stereotype, though I guess it depends on how you define laid back. Australians are very much work driven and stressed out these days. But Australians tend to be pretty casual and laid back in how they communicate, even in serious situations. Here's an article which I think shows this. Australians working overseas are most likely to offend in the US and the UK, according to an international workplace survey which found Britain and America have the strictest office etiquette. Swearing was the issue that most divides Australians from their international business colleagues. A quarter of Australians say it is perfectly acceptable to swear while doing business, while almost all of the English and Americans surveyed found it deeply offensive. Almost 90 per cent of Japanese and 80 per cent of Middle Eastern participants also rated swearing as very offensive. And while almost all Australians say they'd never hesitate to call their boss by a first name, this is considered rude by many Chinese businesspeople. Last edited by Mornnb; 02-24-2012 at 11:53 PM.. 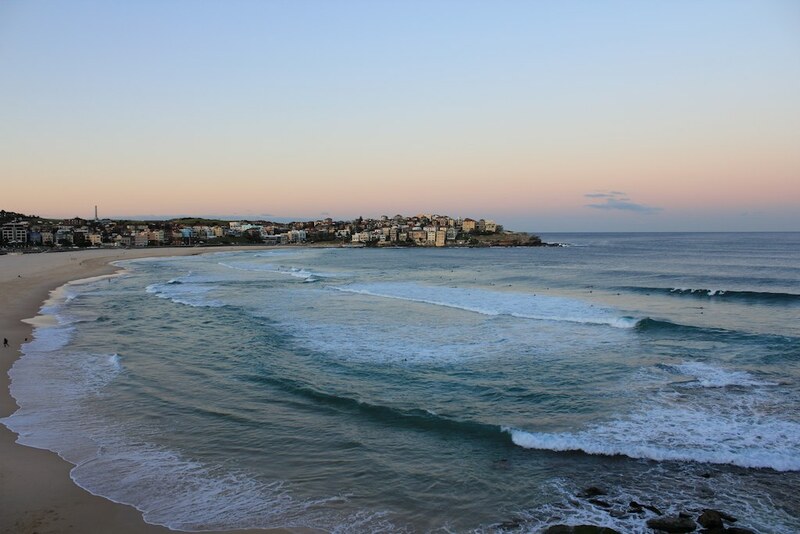 I'm a photographer, and let me show you some of my own photos of Bondi Beach in Sydney. 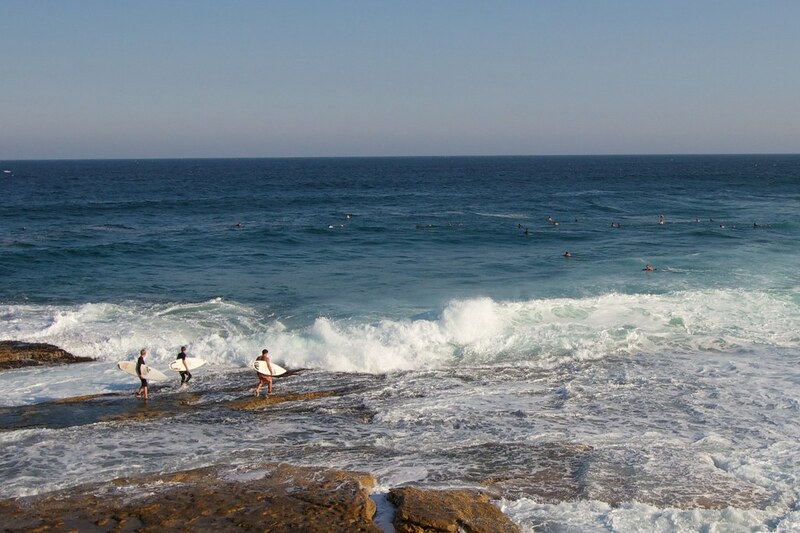 Sydney has 150 beaches, but Bondi is the most famous and popular. Yes. I've been in SoCal for the past 3 months after living in Perth for 12 years. It's more laidback here than in Oz, with a lot of mellow, Zen types and arty, creative people. I never got that vibe in Oz where there's an underlying aggression through the culture. The weather in Southern California is perfect. Very pleasant with few of the extremes common in much of Oz. It's winter here and though there've been some days that reminded me it was winter, there are more days that are very pleasant - sunny and warm. Great tennis, golf and cycling weather. But if you've got the opportunity to live in Australia, or anywhere else for that matter, go for it. It can be a very rewarding, enlightening experience that you can only benefit from, even if you find you don't like it afterall. Or who knows, it may turn out to be your personal piece of paradise afterall. Everyone's different. Vichel it is interesting that you note an aggressiveness throughout the Australian culture. I find this with the NZ culture but I didn't really see it in Australia. My experience with Australians is they have a toughness to them but it isn't aggressive. I drove from our small town in rural NSW to Sydney and the drivers were very polite. People in general weren't overly friendly I have to say, but most NZers say that about Aussies. While I was in Brisbane I can't say I noticed a particularly laid back beach culture really. It's interesting what take different people have on the same topic. We all have an individual experience living in another country. It depends where in Australia you are. 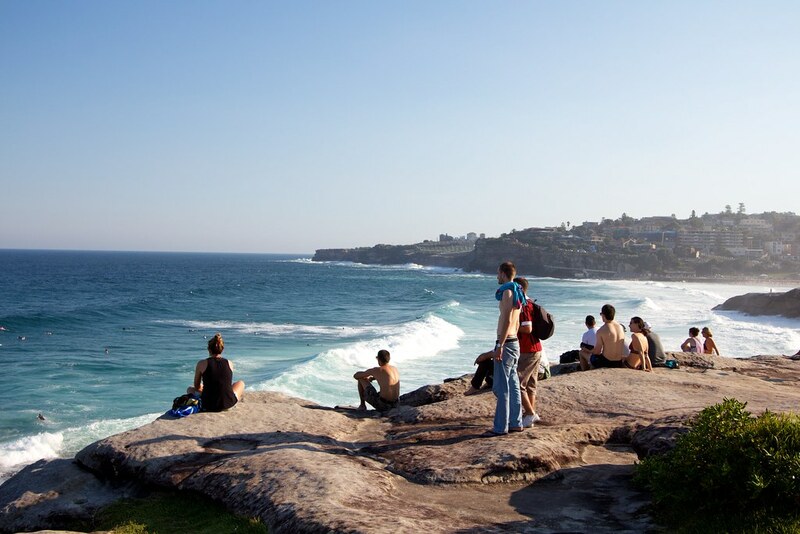 With the exception of a few coastal enclaves, Sydney is very much a fast paced city. Melbourne is more "chilled" but doesn't really have the coastal lifestyle, even though it's on the coast. To explain it better, if you moved Melbourne 200km inland not much would change about Melbourne, whereas Sydney would be completely different. The most "laid back beach culture" that still offers some opportunity of being in a largish city would be in SE Queensland (Gold Coast/Sunshine Coast). [quote=Djuna;23139966]Vichel it is interesting that you note an aggressiveness throughout the Australian culture. I find this with the NZ culture but I didn't really see it in Australia. My experience with Australians is they have a toughness to them but it isn't aggressive. I drove from our small town in rural NSW to Sydney and the drivers were very polite. People in general weren't overly friendly I have to say, but most NZers say that about Aussies. While I was in Brisbane I can't say I noticed a particularly laid back beach culture really. I think the aggressiveness is perhaps more suppressed these days than in the not too distant past. Could be something to do with all the controls and rules, be that in a social or work setting,or that it is not as acceptable to behave in that way as in the past, unsure of the definite answer but it is not as obvious as years ago when it seemed more common in every day situations. I think I know what you refer to by the toughness of certain folk. To me it is something akin to a lack of sensitivity though. Folk can be rather shy to display emotion. Toughness, or the appearance covers this lack. As you say people are not overly friendly nor I find sadly very communicative. But on the flip side they do tend to not bother one. I have never found a cool, laid back beach scene akin to CA out here. Folk are perhaps too self absorbed. I actually found a far cooler beach side scene in England than Oz, not to say France, funny that may sound. No desire to visit Australia. I've been to Europe and South America many and a few times, respectively. I want to be able to rent a car and drive on the right side of the street. 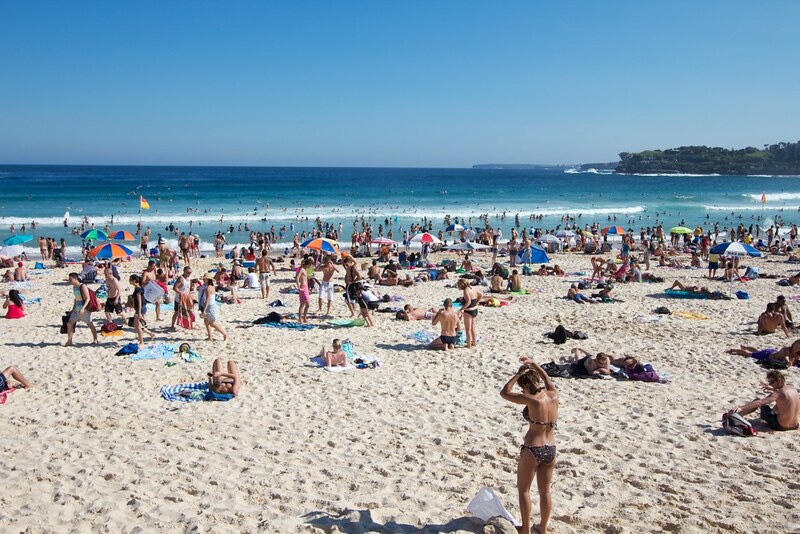 Yeah, I've seen the beautiful beaches on the Australian coasts, especially around a big city like Sydney, but I don't care for the prevalence of great white sharks in the water and that there are more attacks in your waters than elsewhere in the world, not to mention all the other crazy critters that live there. In So Cal, you might happen onto a rattlesnake if you are hiking, and they are not aggressive unless cornered.